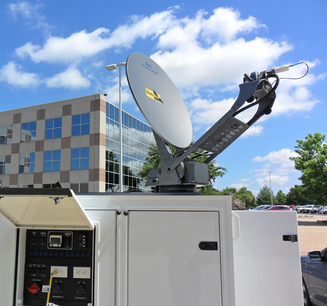 Created for use where performance really matters, AvL's Vehicle Mounted Mobile Broadband systems enable video, voice, IP and data communication anywhere in the world, with the push of a single button. The precision of AvL's patent-pending AvL Cable Drive positioners paired with the ease of one-button Auto-Acquisition and superior technical support make our vehicle mount antennas ideal for non-technical antenna operators. Questions? Email an AvL Representative here: Sales or call an AvL representative today at +1 828 250 9950.